These Built to Fight gloves are touted as having Injected Foam Technology, which is why they seem a bit more spongy than most boxing gloves. This is a good thing, especially for sparring. The padding is great for protecting your partner, and the extra cushion limits the impact on the hands. As far as defense, when covering up these are great for absorbing shots. Great sparring gloves! I’ve been using these roughly 5-7 hours per week doing padwork, heavy bag routines, and sparring with no issues and no signs of wear. These gloves are made of good leather, with great stitching and pretty durable foam padding. No complaints. Decent design, my only complaint is ventilation. Hands will get sweaty when enclosed in leather and doing physical activity, but I’d like some airflow somehow. There are four holes right in the palm area of the glove and that’s pretty much it. The problem is getting the sweat to dry out without becoming permastench. With these gloves I’ve found that putting desiccant or silica packets inside the gloves when not in use keeps them dry and less odorous. If you start this from the beginning you won’t have smelly fingers, and it will keep funky stuff from growing deep in your gloves. I got these through my gym and was pretty happy with the price. With the quality of padding and materials, I would be comfortable paying over $50 for these. Very legitimate gloves for the cost, and great for those wanting more than beginner gloves. I needed some good 16oz gloves for sparring, and these Built to Fight boxing gloves looked decent. Still go-ing strong after 6 months of heavy use. 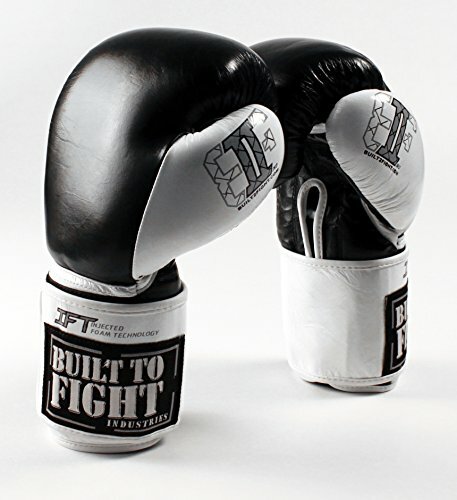 I purchased these Built to Fight gloves at full price. This did not affect the outcome of the review, written after 6 months of training with them.